In the name of the Father, and the Son, and the Holy Spirit. 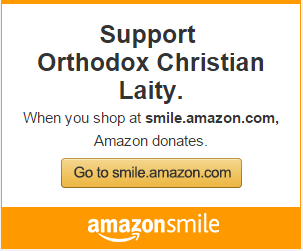 In the Church tradition, the first Sunday of Great Lent is called the Sunday of Orthodoxy. Sunday of Orthodoxy Even now a special moleben is often celebrated on this day in parish churches—just as it was centuries ago. Singing “Memory eternal”, priests pray for the repose of all those who labored to establish the Orthodox Faith with their words, works, suffering and virtuous life: Orthodox hierarchs, righteous monarchs, warriors who laid down their life for the faith and the motherland, and all those who strived to gain virtues. Moreover, the old hymns of the feast anathematized heresies and numbers of heretics. In the Russian Church, even schismatics and some criminals could face anathema at those times. That is why some may believe that the Sunday of Orthodoxy is a feast of religious victory, a triumph of one Christian denomination over the others. But we can easily be assured that that is wrong by merely looking closer at the historical background. The Feast of Orthodoxy is inseparable from the Council of Constantinople, called by Empress Theodora in 843 to restore veneration of icons in the Byzantine Empire. The Church was not yet formally split into Eastern and the Western in the ninth century; and there were no Protestant organizations then that would later call themselves churches. The iconoclastic controversy was a dispute inside one Church over how we should venerate the Lord in the “right” way. The Iconoclasts insisted on praying to God without any icons; they forbade them with reference to the commandment given to Moses: You should have no other gods before me (Exodus 20:3). Citing the words of Christ, that we should worship God “in spirit and in truth” (John 4:24), the Iconoclasts promoted rational veneration as the only right (in their opinion) way of turning to the Lord. In his Treaties Against Those Who Revile Holy Images, St. John Damascene emphasized that the Old Testament’s ban on graven images was of transitory character. After the invisible Lord became visible and tangible in the incarnation of God the Son (John 1:1-5), idolatry became something unthinkable, for Christ’s disciples saw their God and witnessed with their own eyes His Glory on Mount Tabor. For God was manifested in the flesh (1 Tim. 3:16), and we saw [Him] with our own eyes, we looked upon Him and our hands handled [Him] as the apostle John says (cf. 1 John 1:1), we can have images of Him on holy icons. That is the attitude towards the holy icons upheld at the Seventh Ecumenical Council. 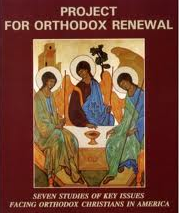 The doctrine that the icon is the essential evidence proving that God the Son really incarnated has since then become an inseparable part of the theological heritage of the Orthodox ChurchTherefore, when nowadays we enter an Orthodox church, we perceive the beauty of the Divine world through the services and the interior, taking it as a special place where God is present. If we look up “beautiful” in a dictionary we will see that it is something that gives you great aesthetic and moral pleasure. Beauty—inner beauty—can be spiritual; we may find someone attractive; we admire the beauty of nature, music and poetry. Plato, an Ancient Greek philosopher, was one of the first to raise beauty to the throne of nobility. According to Plato, “beauty” is an eternal and absolute idea that is part of the objects we see. Beauty cannot be demolished for it is larger than the objects that contain it. In The Symposium, he claims, “Beauty exists eternally; it cannot be destroyed, it neither grows nor ceases.” We can better understand what beauty is by taking some steps: In admiring attractive physical bodies we can ascend to admiring attractive souls; in being passionate about the beauty of science we can grow to contemplate the perfect world of beauty, which is, in fact, the essence of beauty. Unfortunately, people are not always capable of seeing beauty in the world around them. According to Plato, beauty can only be perceived when people are inspired in some way, when they are in ecstasy and soar up to the heavens. The way to beauty is a way leading to the spiritual world, to love for wisdom and the virtue. The understanding of virtue and beauty were tightly interconnected in Ancient Greece. The beauty of the body was worthless if there was no spiritual beauty. Aristotle believed that beauty is our striving for the good. Hence, what could be considered beautiful were only masterpieces of high moral value. The German philosopher Immanuel Kant repeated that thought to some extent; he spoke about “the moral law within us” and claimed that “Beauty is a symbol of the moral good”. Fyodor Dostoevsky wrote that beauty is the summary of moral qualities that a positive, beautiful person possesses. If we pay closer attention to the portrait of the key character in The Idiot, a novel by Dostoevsky, we will clearly see that the beauty of soul, spiritual beauty, is the one that is destined to “save the world”. Unfortunately, what was was in recent times obvious seems something relative today. We sometimes consider beautiful what is in fact ugly; and what has for ages been considered the epitome of beauty can be shamelessly despised and humiliated. Subjectivity is nowadays prevalent. People say that we should not impose our preferences on anyone because we all may have our personal ideas of what is beautiful. As a Latin maxim says, de gustibus non est disputandum, which means, “In matters of taste, there can be no disputes.” Instead of clearing his own eyes, a man prefers to call beauty something that looks more like a demonic nightmare that occupies his mind. Indeed, it is much easier to change the world so that it looks like my “beauty” rather than transfigure oneself to see the beauty that is beyond me. Holy Scripture suggests that we have a different understanding of what is beautiful, and it evaluates everything by comparing it to the Lord. He [God] has made everything beautiful in its time (Ecclesiastes 3:11), Indeed that was very good (Genesis 1:31). King David exclaims, The works of the Lord are great, studied by all who have pleasure in them. His work is honorable and glorious, and His righteousness endures forever (Psalms 110:2–3). In the Biblical lexicon, beauty (תִּפְאֶרֶת; καλός, κάλλος) is not only something that is pleasant to look at, but of high quality, impeccable, both physically and morally noble. If we apply “beauty” to God, it is close to words like “light”, “glory” and “honor”. St. Dionysius the Areopagite noted, “Beauty calls all things to Itself (καλεί), and that is why it is called beauty (κάλλος). In examining something beautiful, we seem to become a part of it. Admiring the beauties of the world, we seem to be revealing the mystery of God’s creation (cf. Rom. 1:20), we feel aesthetic pleasure and remember beautiful moments of our life, we begin to value our life and take care of nature. “If someone looks carefully at the radiance and grace of this Beauty, he will learn something from it… exposing his face to colorful rays,” wrote St. Basil the Great. Impressions that permeate us when we contemplate beauty depend on what eyes we look at it with. The light will shine in our soul if our gaze is pure and not dark. Should we devour everyone with our eyes, we will gradually turn into lustful beasts. Whether we see divine beauty in things around us depends on whether the eyes of our soul are pure. It is not without reason that a collection of quotes by the holy fathers on how we should ascend to the Lord is called The Philokalia, which we can translate from Ancient Greek as “love of the beautiful”. The beauty of our soul lets us admire the beauties of the Heavenly world, and the purity of our heart enables us to see God Himself (Matthew 5: 8). Dear brothers and sisters, let us follow the words of the apostle Paul and begin adorning ourselves not with braided hair or gold or pearls or costly clothing, but with good works (1 Tim. 2:9—11). Let us not behave like the Pharisees and be like whited sepulchres, which indeed appear beautiful outward, but are within full of dead men’s bones, and of all uncleanness (Matt. 23:27). Assisting the Lord, let us hasten to clear our soul of the filth that the sin living inside us leaves, so that we have a chance to restore the natural beauty of Adam. Let us turn our eyes to the beauty of the Son of God, the icons of the Theotokos and the saints, so that we can begin to see the unspeakable beauty of the prototype in their images, and the radiance of divine glory, so that we may all ascend to the Heavenly world, where all the heavenly powers venerate God, where the souls of the saints, who are constantly seeking the Lord, taste divine blessedness. Amen. St. John Damascene, An Exact Exposition of the Orthodox Faith. Concerning icons (Chapter 16). St. Basil the Great, On the Holy Spirit, Chapter 18. V. A. Baranov, “Iconoclasm”, The Orthodox Encyclopedia, Vol. 22 (Moscow: Ecclesiastical research center “The Orthodox Encyclopedia”, 2010) 31-44. St. Dionysius the Areopagite, On Divine Names, Chapter 4. Section 7.